So the United Kingdom has voted to leave the EU. Let the overreaction commence! 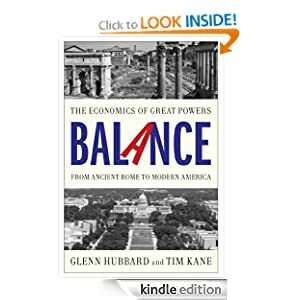 As a reminder, Glenn and I devoted an entire chapter to the EU in our book BALANCE, titled “Europa.” It was a chapter motivated by Grexit, and I cannot help but wonder if Greece staying in the EU led to Britain wanting out. And we all forget how new and, importantly, immature the European superstate is. It is not a nation based on a national identity, yet it regulated like one, like a foreign throne lording over faraway subjects. Not a good look. The psychology of fear is overwhelming financial markets and, yes, this might be a dangerous tipping point for a fragile world economy. But nothing substantive need change at all, especially the open trade between the British Isles and the continent. Nobody can predict how spiteful MEUs will react now, though there is a dangerous sense that they may feel the need to make an example of the Brits. If leaving the EU is painless, what’s to keep in the other strong states? Too much is being made of the monumental step “backwards” the UK just made, and these points are being made by the so-called elites vs the common folk. I see it like this. The march of civilization nudges smaller states into larger coalitions that become states. Peoples throughout history have gotten the balance wrong more often than not. Too much centralization. Too little. Every political union must manage that internal tension, and wise leaders manage it slowly and flexibly. The EU, seems to me, was awfully rigid and its leaders too often used a scolding, moralistic tone. There is an economically optimal balance of sovereignty that was perfected in the federation described in the US Constitution. The EU aimed to achieve gains from unity, but it had far too little federalism. It overreached. On immigration, on rule-making, it became overbearing. And then it bailed out the fraudulent fiscal state of Greece. Who paid? And who pays for the next bailout? Think about it this way: will residents of Ohio or Florida be willing to bail out Illinois? How about asking the people of Columbus to pay for the ridiculous high-speed rail SF-to-LA boondoggle? “More than likely, the California high-speed rail will require large government subsidies for years to come,” the proposal said. The report quoted above was hidden from taxpayers in CA. Not a good look.